The "in virtue of" idea is reflected in many statements about mental properties and physical properties. Organisms are said to be conscious in virtue of some fact about brains or neuropsychological properties. Strictly speaking, grounding statements are about relating one fact to a more fundamental fact. The intuitive idea is that reality is multi-layered with facts depending upon one another – a less fundamental fact obtaining in virtue of a more fundamental fact. Reality, on this view, is hierarchical with some parts sitting in a prior relation to others. 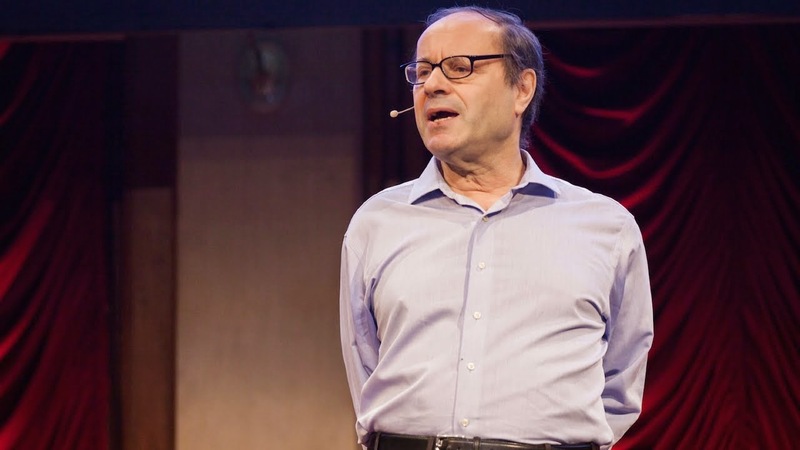 Kit Fine, leading grounding proponent, giving a TED talk about the number "2"
Grounding is used in theories of explanation. For example, apparent facts about the mental are grounded in entities that determine the apparent fact. However, many grounding advocates suggest that the notion of grounding relates primarily to facts themselves while maintaining that some facts are more fundamental than other facts. Motivating such a move is not the need to solve a particular metaphysical puzzle, but a desire to overhaul metaphysics in toto. Some philosophers have grown weary of contemporary metaphysics as the study of existence, continually attempting to categorize what does and what doesn’t exist. Instead, they suggest, we should return to a decidedly Aristotelian project, a study of what grounds what. This provides permission to posit properties without the sole ambition to list what exists or not. A dependent property is not fundamental and is not, therefore, an addition to a growing list of extant properties. Contentions for what counts in such an ontology is settled by considering primarily the grounding question. Schaffer argues that such a project is far more permissive about what exists: “there is no longer any harm in positing an abundant roster of existents, provided it is grounded on a sparse basis.” Schaffer’s view is that we should consider questions of metaphysics to be more about what grounds what than what exists. Indeed, he suggests that this is really the question we are asking. The debate over the mind and material, according to Schaffer, is not about whether either exists, but about whether mind is grounded in matter. Grounding, then, is an exploration of the structure of reality before it is a consideration of the content of reality. It should be said that grounding questions are not new questions. Indeed they are, according to philosophers like Schaffer, already the more important questions in metaphysics. We are already attempting to answer them but in the wrong way. Instead of asking what exists we should be asking how things exist. Indeed, it may be suggested that theologians have remained, in many respects, committed to the grounding project even while metaphysicians have focused on the “Quinian” project of entities. Grounding, for example, remains a central task in theology proper. Trinitarian study is the task of showing what aspect of God’s nature grounds what. Is his oneness the ground for his threeness (Latin model) or his threeness grounds for his oneness (Eastern model)? Similarly, the issue at hand over monism is precisely the same question. Does the whole ground the parts or vice versa? Michael Raven provides five features of common grounding statements. Grounding explanations are irreflexive (nothing grounds itself), asymmetrical (non-circular), transitivity (grounding "chains" from one ground to another), well-founded (reaching, in principle, at the end of the chain, a fact which itself is ungrounded) and non-monotonicity (non-arbitrary). Raven shows that grounding is distinct from entailment, supervenience, reduction or truthmaking. Entailment is reflexive, supervenience can be symmetrical, identity is both reflexive and symmetrical and truthmaking does not chain. I have yet to fully appreciate the grounding idea or how it may be applied. At the moment I am working on a solution to the exclusion argument that poses problems for non-reductive physicalists. Will grounding do the trick? I'll let you know what I think soon. Kevin Corcoran, Rethinking Human Nature: A Christian Materialist Alternative to the Soul (Grand Rapids: Baker, 2006), 58. Robert Audi argues that fundamentality is not a necessary component of grounding theory: Robert Audi, “A Clarification and Defense of the Notion of Grounding” in Correia and Schnieder eds. 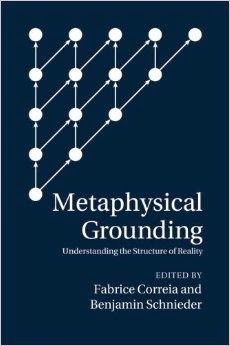 Metaphysical Grounding (Cambridge: Cambridge University Press, ), . Ross Cameron, “Turtles All the Way Down: Regress, Priority and Fundamentality,” The Philosophical Quarterly, Vol, 58, Issue 230 (2007), 1-14. Johnathan Schaffer, “On What Grounds What,” (…), 351. Schaffer, “On What Grounds What,” 363.